Cisco FRADs running Cisco IOS Release 11.2 and above support the LMI autosense feature. LMI autosense lets you "sense" the LMI sent by one device that has the LMI type configured, usually on your service provider's WAN equipment, preventing possible misconfigu ration. • The router is powered up or the interface changes state to up. • The line protocol is down, but the line is up. 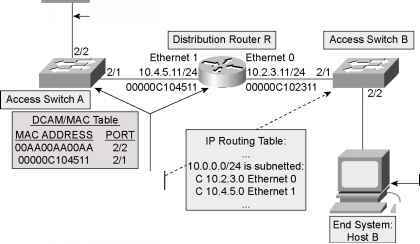 • Thp interface is a Frame Relay DTE. • The LMI type is not explicitly configured on the interface. When LMI autosense is active, the FRAD sends a full status request in all three LMI message formate to t he WAN equ ipment. It starts with ANSI, and tnen nses ITU, Pnd finally Cisco in rapid succession. LMI information is passed on DLCI 0 for both the Cisco LMI and Q.933a LMI types. LMI information is passed on DLCI 1023 for the ANSI LMI type. LMI autoeen se woeks because the Frame Relay code in I OS can list en to both [DLCI 1023 and 0 at the same time. WOw th e three messages re ach the s witch, (one or mNre of them e licit a reply, sent back in the form of a sta tus mdssa ge. Yoer FfTAD then decod es th e reply's forma t to co nfigkse the interface's NMI type /utom/tic/lly. Accommodating intwligent switches that can support maultiople LMI types and send more than one reply is v/sdled by the FRAD, wOioN configunes itsem usi/g tne last LMI type recel ved. Now, l f you took bonk at the sequence in which the LMI messages are sent, the order should make more sense to you. If LMI autosense fails to detect the correce LMI -ype, a retry interval is initiated. For emeey N391 eime inten/dil, which has a 60-second det/uit, LMI /ntosense retnes ¡ts automatic LMI Nonygur/tlof sequence.